Love is in the air – and in our new issue! 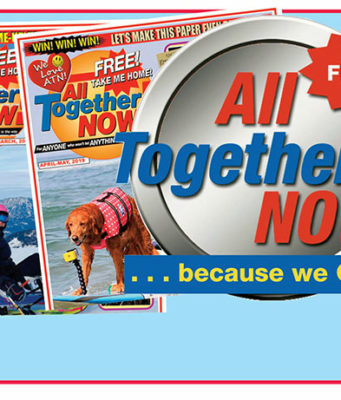 IT'S FEBRUAY, love is in the air and there's lots to get hearts pumping fast in the latest All Together NOW! paper that’s just hit the streets. Pupils’ chance to learn to drive in our super Christmas issue! 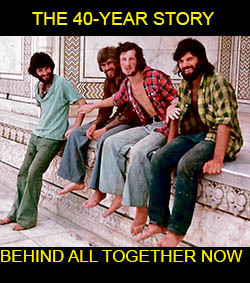 THE CHRISTMAS issue of All Together NOW! has hit the streets - and disabled youngsters, aged from just 11 to 17, are being given the chance to learn to drive! 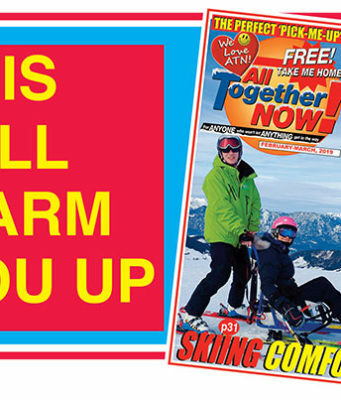 OUT NOW - your FREE and favourite All Together NOW! paper. It's another cracker - jam-packed with news, info, and inspiration to help anyone affected by disability or ill-health. More than 110,000 copies have just rolled off the presses. 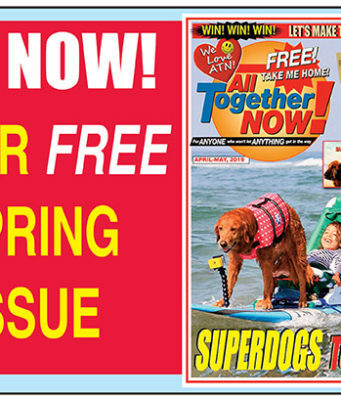 SUMMER'S here - and hot off the presses is your FREE and favourite All Together NOW! charity paper. Funded through sponsorships, advertising and grant donations, the multi award-winning paper is jam-packed with news and info that's a must for anyone affected by disability or ill-health. WIN a fabulous week in the Lakes! WE'VE teamed up with the owners of Irton House Farm in the beautiful Lake District to offer you the chance of winning a fabulous week's self-catering holiday in one of their disabled friendly cottages. You can read all about Reg and Joan Almond's dream farm in the latest hot-off-the-press issue of All Together NOW!